The Stainless Steel Q-Link CLEAR is a new and exciting addition to the well-known Q-Link range of "body" products. Sporting virtually the same dimensions, simplicity and time-tested SRT-3 technology as our standard CLEAR, the visual impact is stunning: Different lighting and viewing angles create an ever-changing silvery pearlescence and depth that must be seen to be fully appreciated. Programmed with over 100 natural frequencies known to support the biofield, the Q-Link CLEAR is compact and feather-light so it won't get in the way. Just attach it to a device where it will come closest to your body. The Q-Link Clear was specifically designed for smart phones. 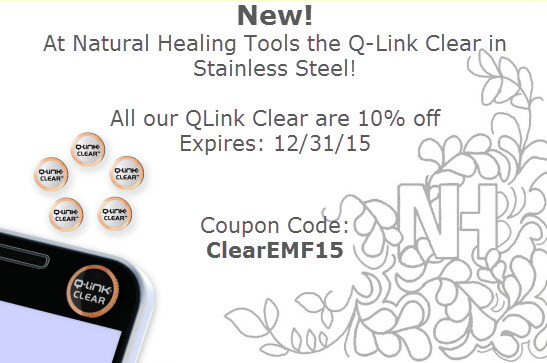 You can also use a Q-Link Clear on tablets, MP3 players or other personal devices.